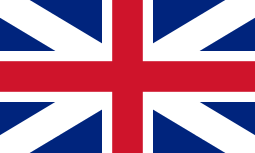 The British general election of 1715 returned members to serve in the House of Commons of the 5th Parliament of Great Britain to be held, after the merger of the Parliament of England and the Parliament of Scotland in 1707. In October 1714, soon after George I had arrived in London after ascending to the throne, he dismissed the Tory cabinet and replaced it with one almost entirely composed of Whigs, as they were responsible for securing his succession. 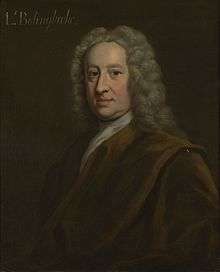 The election of 1715 saw the Whigs win an overwhelming majority in the House of Commons, and afterwards virtually all Tories in central or local government were purged, leading to a period of Whig ascendancy lasting almost fifty years during which Tories were almost entirely excluded from office. The general election was held between 22 January 1715 and 9 March 1715. At this period elections did not take place at the same time in every constituency. The returning officer in each county or parliamentary borough fixed the precise date (see hustings for details of the conduct of the elections). British Electoral Facts 1832-1999, compiled and edited by Colin Rallings and Michael Thrasher (Ashgate Publishing Ltd 2000). (For dates of elections before 1832, see the footnote to Table 5.02).